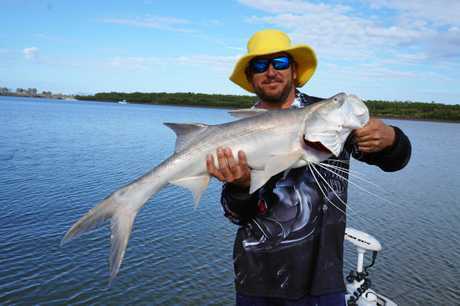 IN a matter of months Rockhampton has become a recreational fishing hub with a two-month waiting list for chartered trips and repeat international visitors. 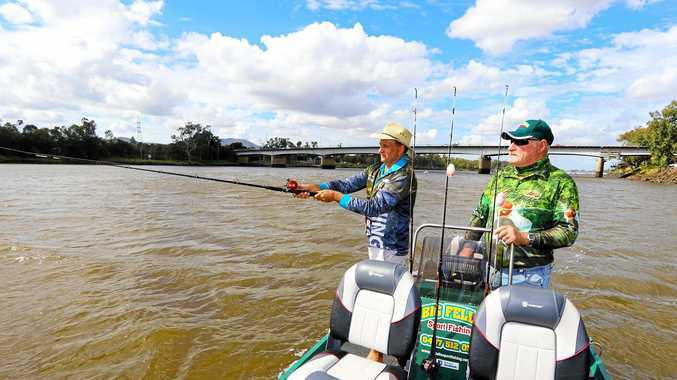 There are at least eight new charter boats now cruising the Fitzroy River as Advance Rockhampton's slick marketing campaign gains traction with the world's anglers. When the State Government banned commercial net fishing in the river, there was scepticism that recreational fishing could take its place. But Rockhampton Regional Council weren't taking any chances and quickly got to work building a new fishing strategy through Advance Rockhampton. 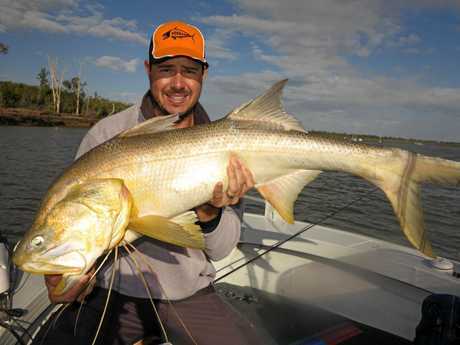 Tony Cullen, Advance Rockhampton general manager, explained the "Fishing the Fitzroy" campaign was built around the destination rather than the catches on offer, although the angling options are pretty impressive, with barramundi and king threadfin the major drawcards. Blue threadfin, javelin fish, golden snapper, flathead, bream and estuary cod are also up for grabs. Advance Rockhampton's regional business development officer Wade Clark has been heavily involved in the project, saying the appeal wasn't just in catching a feed. Among the international visitors are big spenders who have made multiple trips to add to their sport fishing hauls, focusing on different catches with each new adventure. Mr Clark said in these cases fishing was sport and most anglers released their prize catches after taking photos. These sustainable practices feed into council's Recreational Fishing Voluntary Code of Practice, which encourages people to return any barramundi and king threadfin under 600mm and over 1000mm. This, along with several other guidelines, aim to protect healthy fish stocks. The last few breeding seasons have been tough, with later flows through the Fitzroy upsetting the delicate fish spawning balance. However, it's clear the dedicated strategy is paying off just six months after it was launched. The flow-on economic benefits are being felt by other businesses in the region, including the accommodation industry. Zac Garven, marketing and business development for The Edge and Empire Apartments, said both hotels had jumped at the chance to work on fishing packages with charter companies. The Empire hosted Creek to Coast during their Fishing the Fitzroy promotional segment and Mr Garven said there had been an increase in guests travelling specifically for fishing. Guests staying in the region for other commitments have also taken advantage of opportunities to add an afternoon's fishing to their itinerary. "Guests who stay at the hotels who are travelling north to go fishing comment that they no longer need to drive to the tip of Australia for fantastic fishing and will fish the Fitzroy on future trips," he said. Mr Garven said the hotels had partnered with chef Roel Van Camp in a series of upcoming videos showcasing the ease with which guests could catch and cook their own barramundi and king threadfin.